HOT deal! 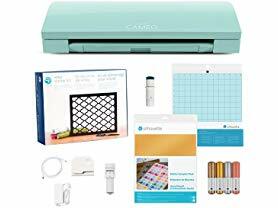 Today ONLY, this Silhouette CAMEO 3 Mint Ultimate Starter Bundle is $189.99 (Retail $309.99). I've had my Silhouette Cameo for about a Year now and LOVE it! Amazon: Save up to 30% on Select L.O.L. Surprise!